Much rare material is incorporated in this unique account of urbanization in a developing country that was ravaged by war for twenty years. With due emphasis on the experience of Hanoi and Ho Chi Minh City (Saigon), the authors present an account of what happened to the towns and cities of Vietnam between the establishment of Ho Chi Minh's socialist state in 1954 and the mid 1980s. The story is introduced through a general theoretical and empirical account of urbanization in socialist Third World countries. The book stresses the importance of the turmoil created by warfare in directing urbanization, but it also refers to the more conventially studied determinants of the process such as the institution of a planned economy. 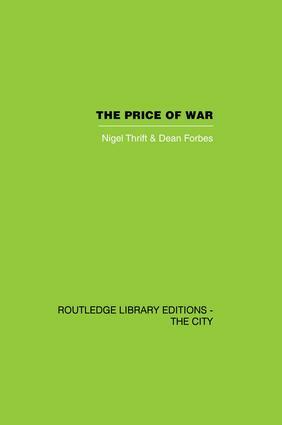 As one of the few books highlighting the impact of warfare on urban settlements, The Price of War will interest all those interested in urbanization, development and South-East Asia.